"There was a conversation concerning how to help me get [Ukrainian] citizenship. I did not refuse [it], to be honest," he stated at a press conference in Kiev on Thursday, responding to a question concerning his meeting with a representative of the presidential administration of Ukraine. According to the journalist, he has a permanent residence permit in Ukraine. He thanked Ukraine and the country's authorities for saving his life by conducting the special operation. 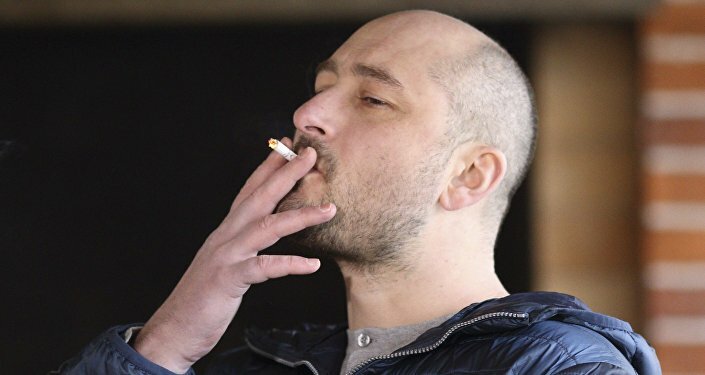 Arkady Babchenko, who has been working at the ATR television channel in Kiev since 2017, was reported murdered by Ukrainian authorities on May 29. The next day, during a press conference held by the country's security services, Babchenko made a surprise appearance. As the head of the Security Service of Ukraine, Vasily Hrytsak, explained, the staged murder of Babchenko was part of a special operation by Ukrainian law enforcement officers, aimed at preventing an assassination attempt on the journalist. The SBU chief specified that a Ukrainian citizen had been arrested as a result of the operation.